For our July Oyster Social we are so delighted to welcome Chef Risa Lichtman of Le Page Food & Drinks to the Tournant kitchen! Risa has been cooking in restaurants throughout Portland, San Francisco & New York for a decade, including Pizzeria Delfina, Blue Hill Stone Barns, Sweedeedee & Handsome Pizza. Her biggest efforts center on gathering community around food through pop-ups, fundraisers, and community-building dinners. She started hosting pop-ups out of her home in 2011, treating diners to seasonal, multi-course dinners called Sunday Supperings. She is passionate about using ingredient-driven food as a means of building community, a positive food culture, and sustainable food practices by dining together with intention. 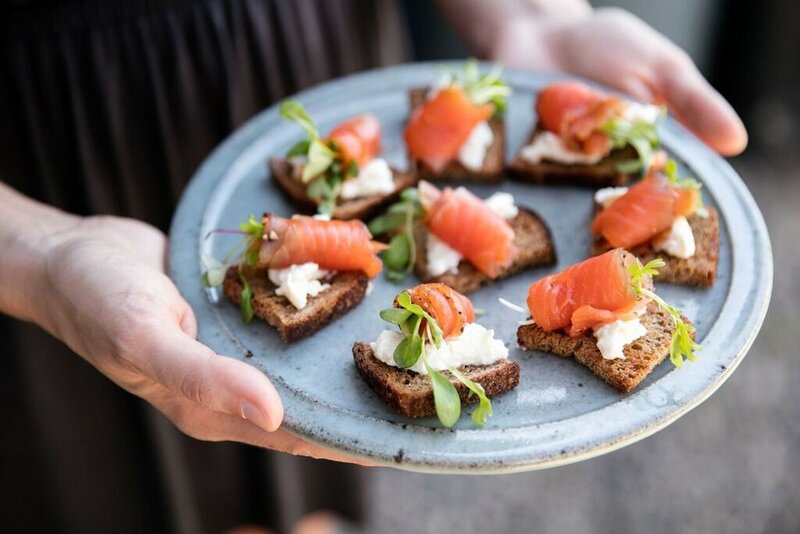 Fresh back from an inspiring trip through Italy and Greece, Risa will be providing a menu of rustic, Mediterranean-inspired food with a PNW heart, featuring produce from small, local farmers. Her food has been described as elevated comfort food, perfect for sharing with friends. See below for a sneak peek of her menu! In addition to Risa's dishes, we'll be popping a selection of the freshest NW oysters, ice cold beers, crisp wines and refreshing cocktails.